On 21 January, Fitness First kicked off a brand transformation initiative encompassing everything from a fresh logo and identity to gym refurbishments, new products and services, and a website and mobile app overhaul. Seven months on, and with the heavy brand lifting behind it, the group has closed down its customer loyalty program, First Club, and is working on a new member offering that relies on customer data to deliver more personalised and relevant rewards. According to Fitness First national marketing manager, Emma Collet, the rebrand was driven by the need to become more in-tune with individual members, and was originally positioned as a three-year project. Fitness First has experienced significant challenges in recent years and during the financial downturn thanks to falling customer numbers, contract-only membership options, and competition from lower-cost gyms entering the Australian market. But an injection of capital from major stakeholder, Oakland, last year is enabling the business to reinvest in its offering and shore up its market position. “In Australia we had reputation issues and challenges from the past that we’re still dealing with, so we knew it was going to take some time to communicate that brand change back up to the market and more importantly, for people to believe in what we were saying and trusting what we were saying,” Collet told CMO. 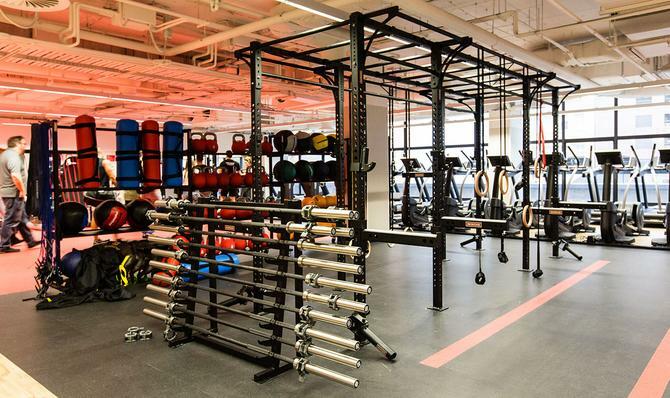 Fitness First’s first step was a significant financial investment into seven clubs to provide an updated look and feel as well as showcase the changes in its product and services approach, she said. Alongside this, the company launched its first pay-as-you-go membership product and bulk visit passes. In addition, every employee was put through a ‘raise the bar’ training program to educate them about the new branding and business drivers behind it. Digital is another cornerstone of improving the customer approach, and Fitness First will launch a revamped website on 21 August, refresh its mobile app in September. With the significant headway made so far, Collet said the group is refurbishing a further 58 clubs by March next year and expects to have rebrand work completed in 18 months. The latest refurbishment work is being funded by the sale of Fitness First’s Western Australian operations to Ardent for $32 million. “Our position is that we are changing for the best. We want to listen to members more, and to ask and respond in everything we do,” Collet said. Like many consumer brands, Fitness First has maintained a customer loyalty program offering third-party discount offers and added-value member services. Members registered for the program and were segmented based on whether they’d been with the gym for less than 12 months, or more than 12 months. Fitness First current has 230,000 active members nationally, 50,000 of which have engaged with the loyalty program in the last six to nine months. Collet explained newer members were offered third-party rewards such as 10 per cent off or two-for-one vouchers at participating retailers. “Tactically we had some success, but when those offers were put up on our loyalty program site, members weren’t that interested in them and became disengaged from the program,” she said. “However, members who had been with us for more than 12 months loved their rewards, which were based on their membership and features for the gym.” These included five free passes to the gym’s PlayZone creche, or the opportunity to bring a friend to workouts on weekends for free. Collet said loyalty remains a huge part of Fitness First’s customer marketing and retention strategy, but the focus needed to shift to rewards both more relevant and more personalised. As a result, the group has opted to remove the five-year old program. Active participants were notified of the changes via email in August and asked for feedback on what they’d like to see in the form of rewards in future. Collet said it had received 400 responses since advising customers of its closure. While it’s still a work in progress, the new-look loyalty offering will be aimed at helping customers achieve individual fitness goals and better utilise their membership, she said. To do this, the marketing team is tapping into visitation and behavioural data, along with member goals, to shape rewards on a more personalised level. “We want loyalty to play a more motivational role, rather than be a pure value-add,” Collet commented. “We’ll still provide value-adds to membership, but the program will form part of our motivational strategy. Loyalty information and offers are expected to sit in an app, alongside content on a member’s training, visitation in the club, and where they sit against established goals. With plans next year to launch a training-based program offering every member a personal training schedule as they join, Collet is also hoping to tie the loyalty offer further into membership identity. Data is a vital component in understanding customers better, and Fitness First has been increasingly producing data-driven insights over the past two years as the basis for marketing and business decisions. Twelve months ago, the company segmented its membership using visitation from high to low frequency. The activity was a great learning exercise and provided valuable insight into people’s habits, Collet said. “If someone can only come two times per week and it suits them, then we need to understand why that is their habit,” she said. Fitness First also recently purchased Helix Persona data from Roy Morgan and is overlaying that lifestyle and demographic information with transactional visitation data to build a better profile of members. This is particularly important at a local level, Collet said. The group’s 79 clubs are all privately owned but managed centrally and represent a diverse mix of geographies and demographics. To better understand local nuances, Fitness First combined Roy Morgan data with transactional data and built a profile for every club based on what the member base looks like. These are then compared to the area the club is located in, across members in that area, as well as members in other clubs. “It gives us a wealth of knowledge on our customers,” Collet said. When it comes to the future loyalty offerings, Collet also wants to rely more on data. She hopes to launch the new loyalty offering early next year and will test several of its proposed offers tactically using CRM and in-club communications to inform the final program make-up.